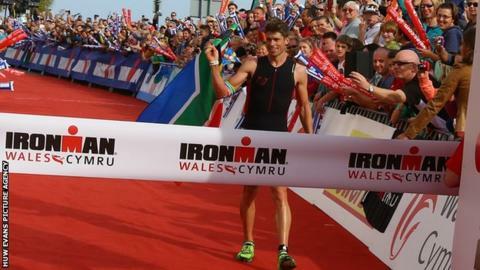 South Africa's Matt Trautman won the men's Ironman Wales title with Britain's Amy Forshaw the women's champion. Trautmann completed the 2.4-mile swim, 112-mile bike ride and a 26.2-mile marathon in nine hours, seven minutes and 28 seconds. Fraser Cartmell finished a close second while Forshaw won the women's title in 10 hours, 57 minutes and 26 seconds. More than 2,000 athletes took part in the Pembrokeshire event. Competitors must complete the course within 17 hours.